Happy Tuesday! Did you guys get all of your holiday shopping done? I was hoping to get everything done last night, but both Steve and I could not focus enough to come up with more gift ideas for the rest of our family. I did manage to get a lot of it done this weekend though, so glad for those Black Friday/Cyber Monday sales, right? 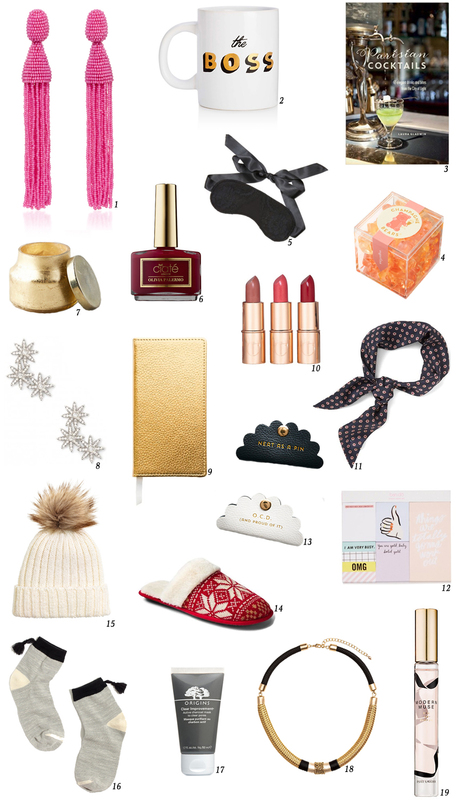 Well, I've got a gift guide for you today (two more coming this week!) and it might be one of my favorites! It's filled with semi-random things but things that you would & could use. I try really hard to give gifts that people will use and I think everything in this round up is something that I certainly would use or wear. Love this roundup! That beanie is adorable and those gummie bears are so good!